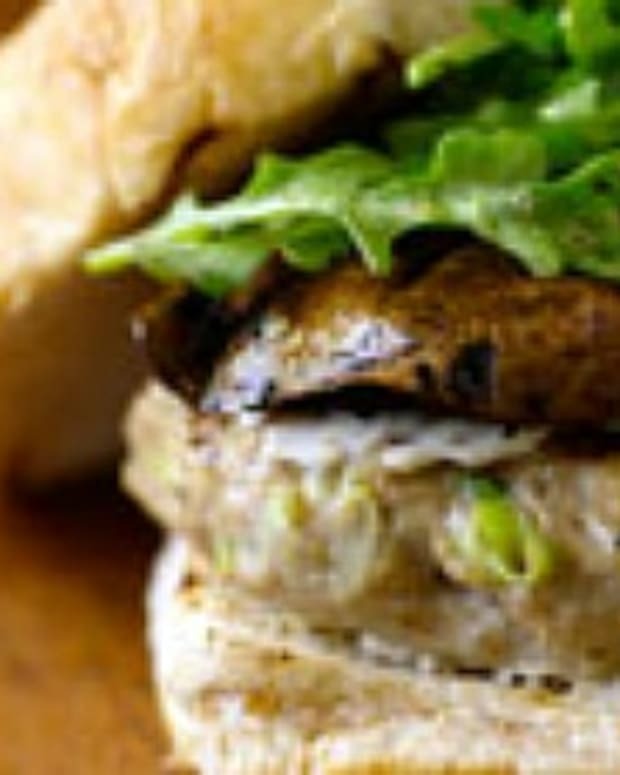 When you want that burger experience, but less fat and calories, go for my lean and green turkey burger. 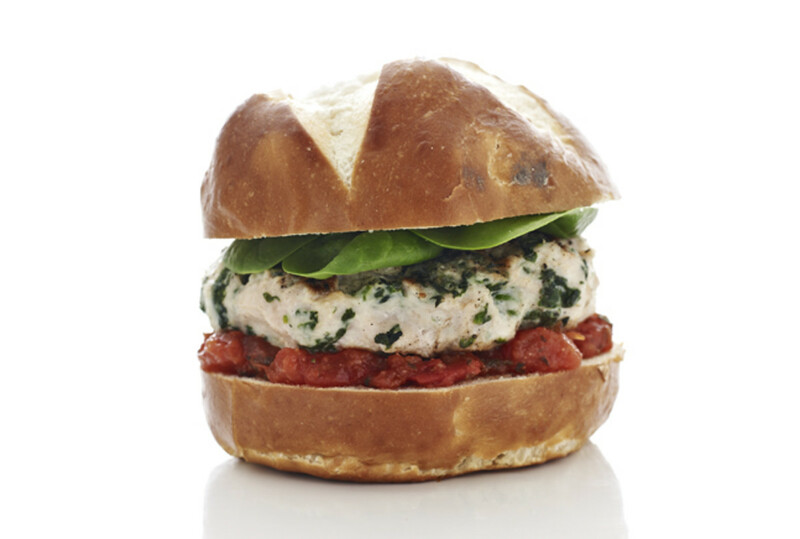 Loaded with spinach and topped with a roasted tomato sauce for the perfect balance of flavor and texture. 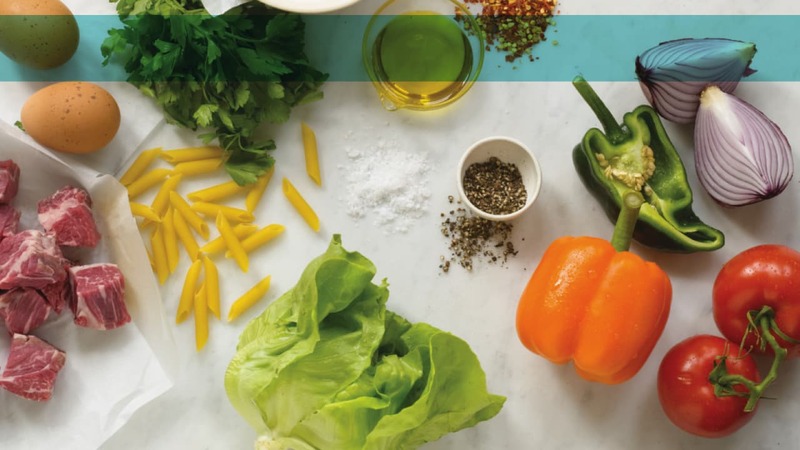 For the real deal, plus more leaner burger ideas don&apos;t miss my 9 Burgers, 9 Ways with 8 condiments article. In a large bowl combine turkey, defrosted spinach, and garlic powder and mix well. 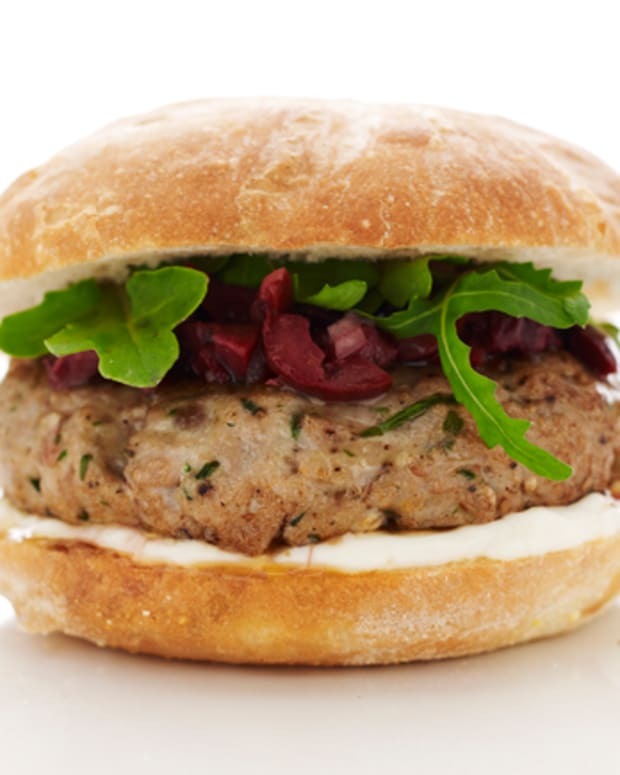 Divide into 4 portions and form into ½-inch thick patties. Season both sides lightly with pepper. 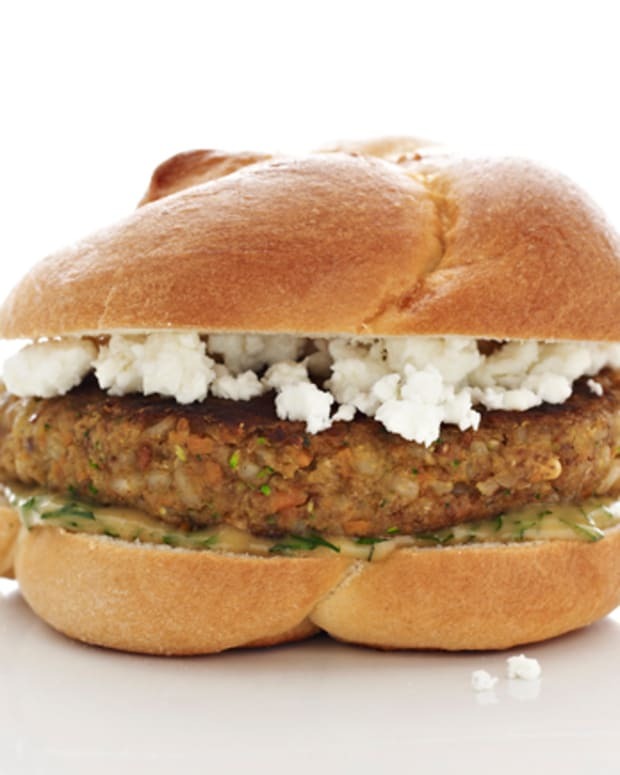 Cook burgers on a preheated grill for 12 to 15 minutes per side or until cooked all the way through. 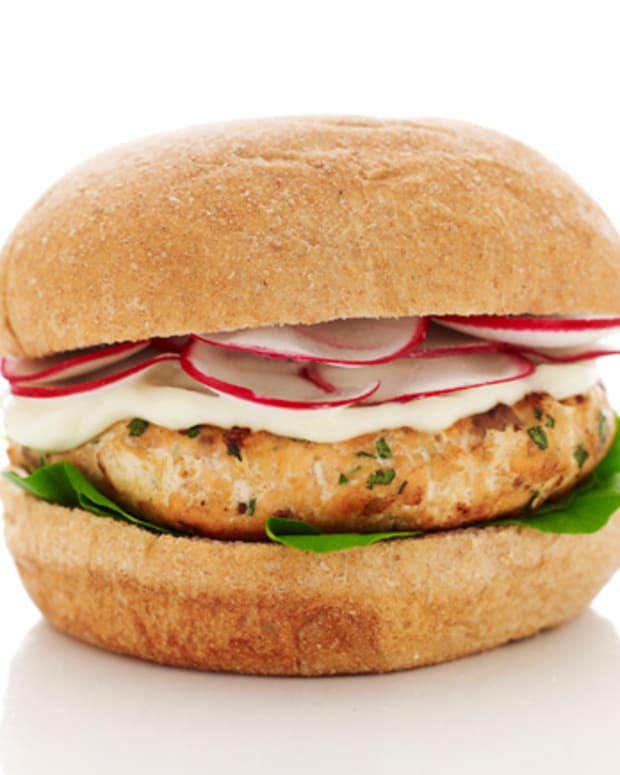 Place each burger on a sourdough roll with 2 tablespoons Roasted Tomato Sauce and a few fresh spinach leaves. 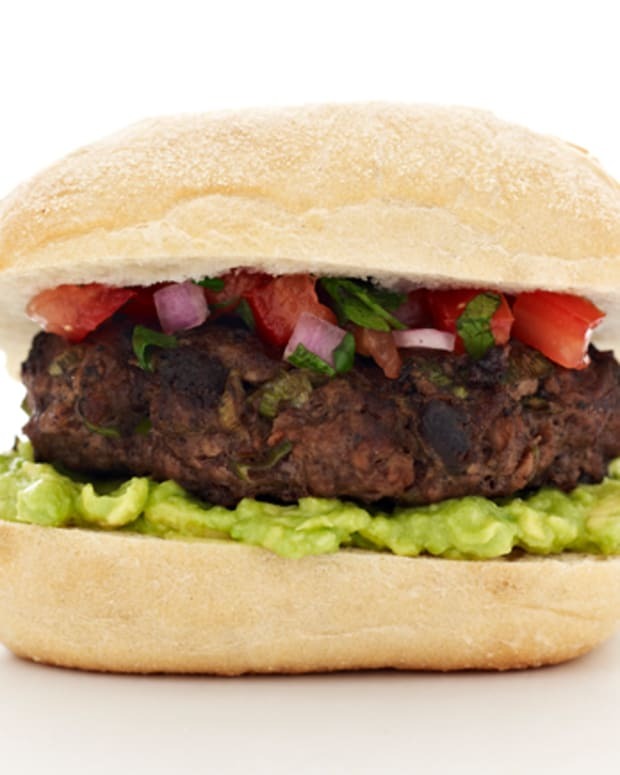 TIP: When making burgers, remove the ground meat from the fridge about 20 minutes before forming into patties. 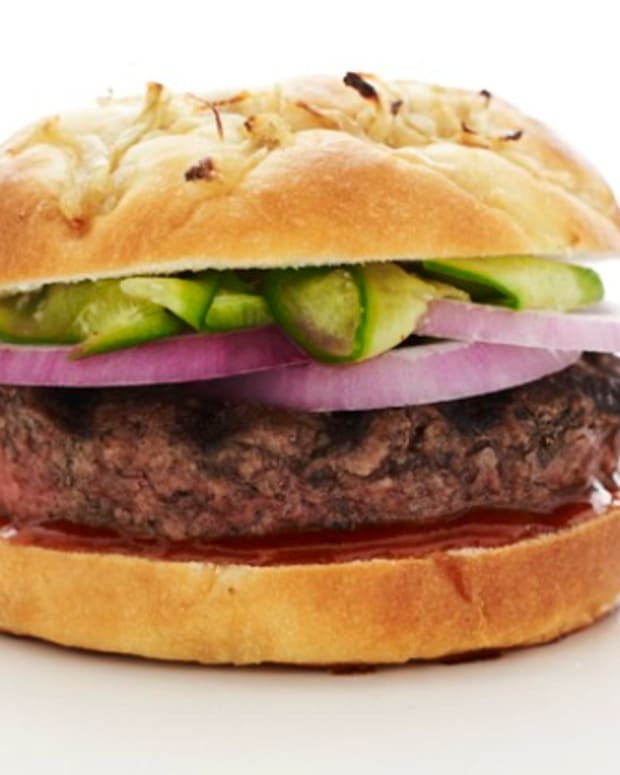 Resist the urge to over handle while trying to form perfect-looking burgers. Over handling will cause the meat to toughen.